Kolkata: Meeting someone as sensitive and versatile as Adil Hussain, who wears his heart on his sleeves is a different experience altogether. With no pomp, no air about himself, the actor settles down for a tete-a-tete on a hot humid day at the Lalit Great Eastern Hotel, overlooking a large French window from where one can get to witness a slice of Calcutta, the city that he loves dearly. Alumni of NSD and Drama Studio London, his connection with Bengal dates back is really old and strong. 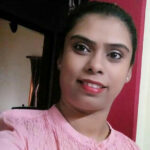 “I grew up in Goalpara the district that shares its borders with Bengal. There is a kind of mixed culture. Most of my friends were Bengali living in Assam. So, I have a sense of comfort here. I speak the language. I am so fond of Bengali food. I have grown up reading Bengali literature. My father used to say that Rabindranath Tagore is Gurudev in the truest sense. I instantly feel at home here,” said Adil who wore a soft blue full sleeve shirt for our meet. However, the actor felt that there is too much noise on the sets in Kolkata. “This is something that I would lovingly point out. It’s criticism with love and nothing else. Things that can be said softly are being said otherwise- ek e kotha na chaecheye to bola jai (you can say the same thing without screaming) but that is our culture, that’s the habit. I wish that part is taken care of. Also, there is no concept of silence during rehearsals,” he said with a smile. He maintained that actors being vulnerable need a certain amount of silence to prepare for an act. “Fake acting is different but when other actors are preparing sincerely for an emotional scene, then the set must have certain amount of silence,” he said. He then added, “Barring this issue, there is no lack of creativity in the Bengali film industry. With talented film makers, the industry has a deep understanding of beauty, cinema. While its narrative style, remains amazing,” said the versatile actor who acted in a number of Bengali, Assamese, Hindi and English movies and even Khasi. “So with all my love for Bengali film industry and admiration for all the Bengali films, my favourites remain Ritwik Ghatak, Mrinal Sen, Satyajit Ray and Tapan Sinha,” said Adil. His admiration for Bengali songs, literature and films is immense. He even recited Kazi Nazrul Islam’s Bidrohi one of the most revolutionary poems of the legendary poet, which inspires one not to conform to societal rules that chains and imprisons men to a set of structures by not giving him the liberty to expand his horizon and express in a new way. Adil acted in several Bengali flicks like, Obyakto (The Unexpressed) and then a short film Meel (similar) directed by a young director Abhiroop Basu. He will soon be seen in Pratim D Gupta’s upcoming movie Aahare Mon and Soibal Banerjee’s Maati. Adil talks at length about his character Jamil in Maati which is pretty close to his heart. “The script of this film is really gripping. I think Leena ji, (Leena Gangopadhyay) must have experienced something similar, which she has expressed in her screenplay. The film is not just realistic but also poetic. Leena ji has managed to capture it all in her script, which will click with the mass audience. I had great fun working with director Soibal Banerjee,” said Adil. Bengali actor Paoli Dam will be seen sharing the screen space with him. Jamil, who returns to his roots after his stay in America, Adil said, “I can identify with the film and the characters. I have lived in Europe for around three and half years teaching and performing. When I was offered an artistic director post in a theatre company in Holland, my dream job, I took a week to decide. I was questioning myself why I am hesitating. I thought about it for a week and a scene came to my mind of Delhi. During my initial stay in the capital city, when I went hire a taxi from a taxi stand, the Sikh taxi drivers, who being very warm hearted would say ‘baitho pehle khana kao’ or they will offer you tea if they are having it. So despite being a rough city, Delhi has its own flavour, its own warmth that I was missing in Holland. It is not that people are not warm or friendly but the degree of warmth that I was used to, was missing there. I realised that India is my place and I should return and work here. I understand the culture, the people and the other nuances,” said Adil. He maintains that the character Jamil too shares similar feelings. He is a doctor, married there in America. Without revealing much about the plot, he said, “We have that dog instinct, territorial in nature. It comes from fear and insecurity. So without understanding we hate each other. Sri Aurobindo calls it lower instinct. 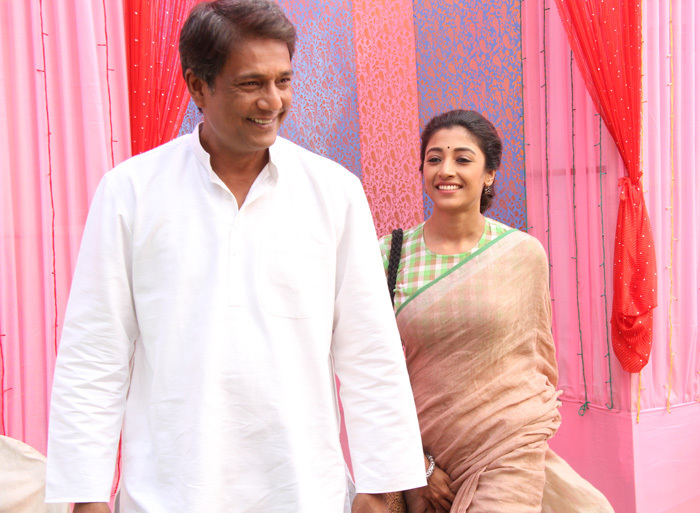 So Maati is a story of two countries, two religious communities and two people, played by me and Paoli,” Adil informed. When asked about the recent ethnic clashes that Assam is witnessing, he said, “I am very much disturbed.” The greatest flaw that he thinks, India has done is to give away with the Indian education system. He then added, “Our education system is designed to create individuals, interested to grab a job of their choice. It fails to create wisdom or teach to nurture human relations. So anybody who looks different in any possible way, be it linguistically, ethnically or gender wise or in terms of religion is seen with hatred. I feel gender discrimination is the greatest apartheid on earth. The entire volatile system that we are in is the result of flawed education system,” said Adil who strongly believes in inclusive system of education that India had long time back before colonial rule.